Comments: Great looking small block sedan driven by Jack Edell. 12.12.09 Mike Davis Wow, I like the futuristic sheet metal up front. Almost has a “Grant King” sprint car feel to it. Does anyone have any history on this beauty? In addition, is that the Freddy Adam Kemp’s Hotel #8 in the background? 12.18.09 Barry Miller This car looks like the former O.R.A. 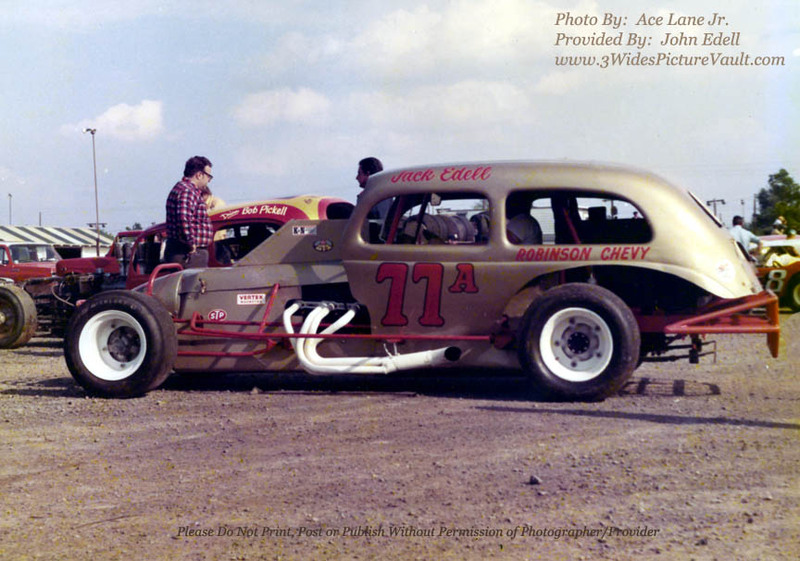 17 Sedan that Lauden Potts ran at Reading in '71 or '72. That is Freddy Adam in the background and Bobby Pickell in the 80 Sedan also. Sadly, Jack lost his life in a sprint car accident in the 80's while racing in Florida.